What Could a Blockchain Investment Look Like in 2019? We already know that the gravitation toward blockchain tech is packing a considerable punch. Or pull. Whichever way you look at it, entrepreneurs of the modern age would have to be kidding themselves if they didn’t think Blockchain tech offered some incredible opportunity. With it’s track record rich in results and huge investments currently being poured into services that will rely on the tech to float, anyone looking to invest next year better be prepared: Blockchain is going to out perform expectations once again this year. This week, we’re looking at three big use cases we think will fly high in 2019 under blockchain capability. We knew that the healthcare industry was tipped to gobble up blockchain tech- what with it’s human error, rife recording systems and clunky stone age processes- its a shake-up that has been on the cards for decades. 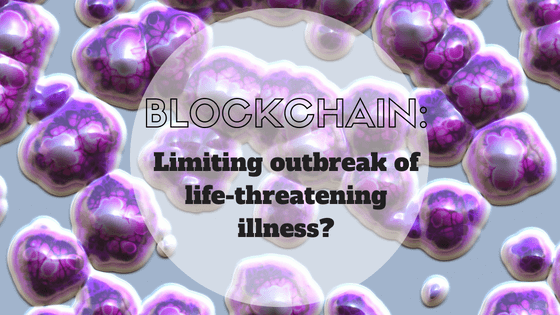 Now that most major medical bodies are looking for ways to overcome that very obvious problem, we’ve seen loads of new innovative blockchain based Apps make it to the frontline for consideration. Hear that, servers? Yup, that’s your head on the chopping block. As a decentralised file storage program, blockchain would offer a number of benefits that position it to stand out in streets against ‘Dropbox’. Starting with lower fees, let’s level up with a system that would enable a faultless versioning and drafting system. How would it work? The business model is simple: For the resources shared by your miners crowd, they’d be rewarded in crypto. How’s that for fair exchange? Oh we do love a bit of hearty crowd funding. It’s a huge movement that allows us to directly contribute to a cause close to our hearts, with many start ups being given wings to make their product fly right off the bat from conception. Crowd funding isn’t faultless, but it does make fund raising possible without too much of that funding ending up in somewhat undeserving hands. Raising the profile of crowdfunding in 2019, blockchain is tipped to assist contributors and contribution alike, with an algorithm that identifies popular projects and helps projects to smash goals far faster than current methods do. With a world moving in preference to smarter, faster systems that can prioritise need and slash expenditure, freeing up revenue for better business, we’re seeing more and more case uses of Blockchain tech where it shines. Would you like to find out more about the top investments being made in Blockchain across the globe? You may be interested in our consulting program. Call the team of passionate experts at Blockchain Australia on 1300 305 619 today.